This might be good news for many Nigerian students. 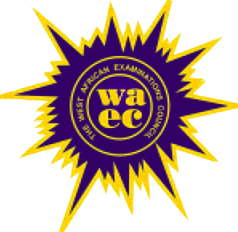 West African Examinations Council (WAEC) has announced that the General Certificate Examination (GCE) for private candidates will now be held twice a year starting in 2017. “The West Africa Senior School Certificate Examination (WASSCE) for private candidates known as the November/December diet for private candidates will now be conducted in January/February and August/September. "The measure is to ensure that many private candidates, who desire the certificate for various purposes, will have the opportunity of writing the examination and acquire the certificate. “We have concluded arrangements to commence writing of our WASSCE for private candidates twice a year from 2017. “This will take place in January /February and August/September every year in all the member countries." According to Leadership, he stressed that this development, does not affect the May/June, WASSCE, which remains once a year for all candidates. Uwadiae also said that as part of its mandate to render qualitative service to all member nations, the council is looking forward to a more rewarding 2017.